What is the Best EOS DSLR Camera for You? Whether you're shooting for pleasure or professionally, Canon EOS digital SLR cameras empower you to be creative. Canon EOS cameras enhance the photographic experience, whether you're a seasoned professional or a beginner. If you're a beginner, the EOS Rebel line will help you take your first steps in DSLR photography and enjoy great picture quality, responsive performance and new creative flexibility. Deliver beautiful photos and video with speed, simplicity and fun. Entry level DSLR cameras such as the EOS T6, EOS T7i, EOS T6i or a EOS SL2 boast advanced technology such as the CMOS Image Sensor and Canon DIGIC Image Processor for richly detailed images and quick camera response, even in low light. Combined with lightning fast, accurate autofocus, you can capture great action shots in sharp detail. Straightforward controls are quick and easy to use, so you'll always be ready to express yourself. Touch screens offer intuitive control over menu functions, and when shooting in Live View mode the LCD monitor makes it easy to shoot high quality videos. If you're looking for creativity, beginner creative filters add artistic flair to your shots, and are easily previewed on the LCD monitor. All of this is offered in a light-weight compact design which you can take when traveling or with family and friends. For the photo enthusiast that wants to turn it up a notch with powerful image processing, faster frames per second, weather sealing, and advanced features that help take your craft to the next level. The EOS 80D and EOS 70D DSLR cameras combine versatility, performance and ease-of-use into a compact design. The EOS 70D features a 3.0 inch Clear View LCD monitor and an Image Processor that helps achieve up to 7.0 fps continuous shooting, and superb image quality. Features such as Built-in Wi-Fi further enhance shooting and sharing capabilities, while multiple exposure and Creative Filters preview ready in real time help create spectacular photos with an artistic edge. Canon's cutting edge Dual Pixel CMOS AF technology unlocks the potential of Live View shooting, forever changing the way users will capture still images and video with a DSLR camera. It enables phenomenally accurate and faster-than-ever focus in live view and video mode, allowing the photographer to realize the compositional freedom with the Vari-angle touch screen. Express your inner photographer and unleash the wonderful possibilities for creative expression with these EOS DSLR features. Professional and advanced photographers looking for uncompromising image quality, performance and reliability, with professional level technology that delivers professional level results. These EOS Digital SLRs are for those who demand the very highest standards in image quality and video quality in any condition. Canon EOS DSLRs are used worldwide by professional photographers shooting everything from fashion to weddings to sports and much more. Designed to bring all of the benefits of full-frame photography and moviemaking to a compact, lightweight and simple to operate DSLR cameras such as the EOS 6D Mark II, EOS 5D Mark IV, and EOS 1DX Mark II are the perfect tools to create your vision. Unlock your vision with the EOS 6D Mark II 11-point AF system with a center point light sensitive to EV-3 for exceptional performance even in low-light conditions. Offering advanced, professional level HD capture for beautiful, cinematic HD quality videos, the EOS 6D Mark II can shoot up to 4.5 frames per second. Its extensive technology includes an extensive ISO range and a built-in wireless technology with GPS. With a host of phenomenal features designed to enhance and speed up every facet of the photographic and moviemaking process, the EOS 7D Mark II camera represents an outstanding level of photographic and filmmaking performance in a rugged and durable package. With Dual DIGIC Image Processors, it shoots amazing still photos and full HD video without compromise. For stunning high resolution, full-frame photography and supercharged EOS performance, the EOS 5D Mark IV digital camera shoots 22.3 megapixel stills up to 6.0 fps with 61 point AF. With some of the top reviews and high praise, the EOS 5D Mark IV is one of the most advanced and popular DSLRs for advanced enthusiasts and professionals alike. For the top of the line DSLR in the EOS family, the EOS 1DX Mark II will shoot anything with Super High Speed Mode at 12.0 fps. Plus an outstanding 100,000 pixel RGB Metering Sensor helps reach new levels of AF tracking performance and metering accuracy. The EOS 1DX Mark II is the ultimate EOS camera of choice for the most discerning professionals. Which is the Best PowerShot Digital Camera for You? PowerShot Digital Cameras deliver Canon's innovative technology and world-class optics with brilliant design to make photography a pleasure. Our digital camera technologies include superb quality, high portability, Wi-Fi®, waterproof features and more. We want to inspire you to take the next step to shooting and share exceptional photos and movies. Our selection of compact digital cameras offers the best range for all levels of photography - whether you're a beginner or an advanced professional photographer. Our G Series Cameras are designed for advanced photographers to enable unlimited creativity in a compact and convenient point-and-shoot body without the need for additional lenses. With the HS System and Intelligent IS system, these digital cameras are ideal for low light shooting. The digital camera's full manual control and RAW mode deliver exceptional flexibility and performance similar to Canon's EOS DSLR cameras. The SX series Cameras are designed for advanced or beginner photographers who are looking for incredible optical zoom without the burden of a large lens. As one of the most popular advanced digital cameras series with some of the top digital camera reviews, the PowerShot SX series provides superior optical zoom with full HD video and high-speed shooting. Equipped with Canon's High Sensitivity System (HS) or Image Stabilization (IS), the SX series shines in low-light situations by enhancing quality while helping to minimize noise. Select cameras within this series have built-in Wi-Fi® and GPS. Built-in Wi-Fi allows you to wirelessly transfer your images with ease to social networking sites through CANON iMAGE GATEWAY1, to a PC, or upload virtually anywhere from your iOS® or Android™ device with the free download of the Canon CameraWindow app2. Built-in GPS3 will tag your shots and log your journey. Advanced or beginner photographers will love the technology packed into the SX series digital camera that delivers stunning images in all situations. With wide angle optical zoom, full HD movies, Wi-Fi®, and GPS technology it's a powerful combination of leading image quality and flexibility in one convenient package. 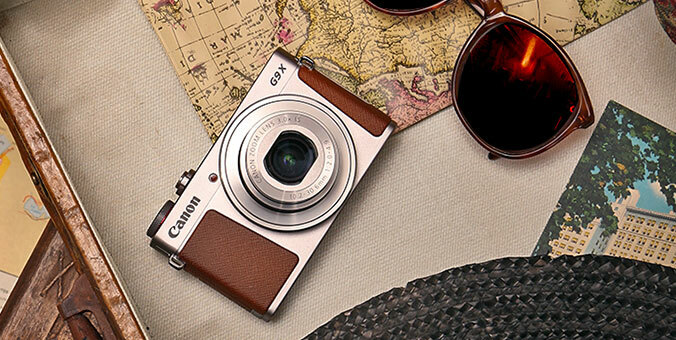 The PowerShot ELPH series focuses on style, design, and performance that fits easily in your pocket. Boasting many advanced functions and creative features, the ELPH series makes it easy for the beginner photographer to shoot brilliant photos and movies. Smart AUTO will intelligently select camera settings based on 32 pre-defined shooting situations to give you accurate exposures to best suit the scene you are photographing. Low light shooting is easy with Intelligent IS automatically recognizing six different modes to optimize image stabilization settings for the shooting condition. Select cameras within the ELPH digital camera series provide built-in Wi-Fi® to share your images with family and friends on Social Media websites such as Facebook® and YouTube™. 2 This software enables you to upload images to social network services. Before uploading images, please be aware that image files may contain privacy related information such as people and places. If necessary, please delete such information. Canon does not obtain, collect or use such images or any information included in such images through this software. 3 In certain countries and regions, the use of GPS may be restricted. Therefore, be sure to use GPS in accordance with the laws and regulations of your country or region. Be particularly careful when traveling outside your home country. As a signal is received from GPS satellites, take sufficient measures when using in locations where the use of electronics is regulated. GPS tracking does not work underwater. 4 See each D series model for specific shockproof height and temperature resistance ranges.